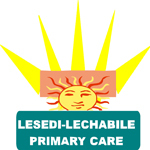 The Lesedi-Lechabile Women’s programme is a programme that targets mainly adult women. Adult men and youth can still be attended to at this service but ideally they should utilize the service specifically designed for them which are; Lesedi-Lechabile Men Engage Programme (MEP) and Lesedi-Lechabile Youth Care. – Services from three mobile clinic units to reach hard to reach communities.